The Oscars are upon us again. The Oscars are upon us again. But this year, the red carpets leading up to the Academy Awards have had a distinctive look: Actresses supporting the revolutionary #TimesUp movement by wearing all black. The monochrome palette is meant to make a political statement, and if the trend continues, that doesn't mean that Best Actress nominees such as longtime friend-of-Valentino Meryl Streep can’t make a fashion statement, as well. Some of the most iconic Valentino looks worn to the Oscars have been black dresses, after all. For one example, look no further than the frock donned by Reese Witherspoon in 2002. These days, Witherspoon is a leader of the #TimesUp movement, but back then, an emerging star making her Academy Awards debut, she caused a sensation in her Deco-inspired dress from the Valentino Fall/Winter 2002/2003 Haute Couture collection. Other outspoken stars have chosen black Valentino for their big Oscar moments, as well. 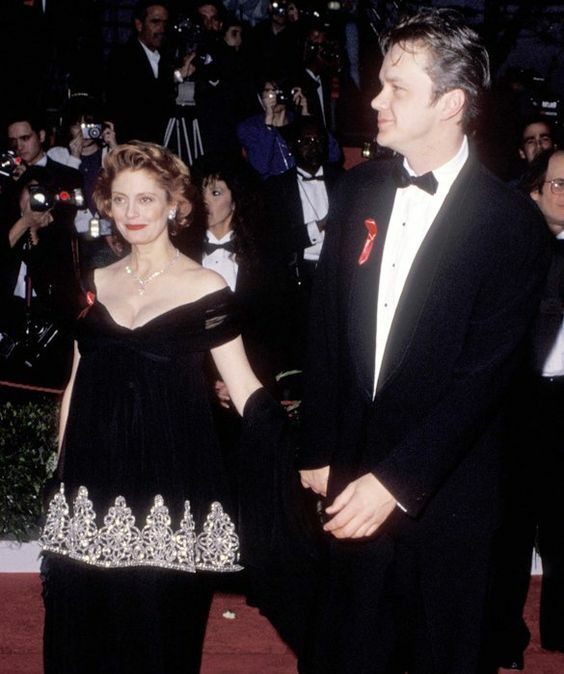 Susan Sarandon had on a specially-designed, beaded black velvet Valentino ensemble when she turned up several months pregnant to the Academy Awards in 1992. Sophia Loren wore a slinky black Valentino gown as she picked up her Lifetime Achievement Award in 1991. And ten years later, in one of the gala's most indelible fashion moments, Julia Roberts accepted her Best Actress prize forErin Brockovich in a vintage Valentino column gown of all-black, with graphic white trim. That dress, from a 1982 haute couture collection dedicated to movie stars, made history. This year, movie stars are making history again, using fashion to stand up for change.